Mercedes-Benz has unveiled an all-new model set to take on the BMW 3-Series coupe and Audi's A5 coupe. Set to join the C-Class range, the two-door, four-seat coupe model will be officially unveiled at the Geneva Motor Show in March with sales in the UK due to begin in June. There's a choice of five engines - three petrol and two diesel - all labelled as BlueEFFICIENCY and fitted with stop/start technology. The petrol engines are two 1.8-litre versions with either 156bhp (C180) or 204bhp (C250) and a range-topping 3.5-litre V6 dubbed the C350 that produces 306bhp and will cover the 0-62mph sprint in 6.0s. The latter two petrol engine cars come equipped with the manufacturer's seven-speed automatic gearbox as standard, while it is optional on the other models. On the diesel front both are 2.1-litre engines with 170bhp or 204bhp. Emissions range between 117g/km and 143g/km while the lower-powered version with manual 'box will achieve a claimed 64.2mpg. Running costs are low thanks to efficient new engines. The fastest V6 model with 310bhp will cost you just £155 in tax thanks to emissions of just 164g/km. The most you'll pay is £180 annually (and £250 in the first year) for the 1.8-litre 158bhp petrol manual model. 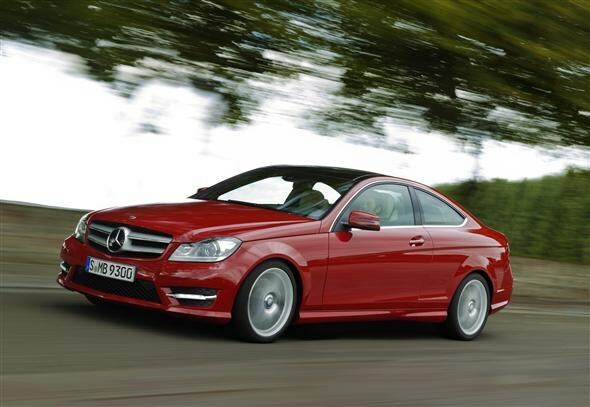 As a company car driver the most efficient car will be the C220 BE, which in some specifications will be eligible for 13% BIK taxation in 2011/2012. UK cars get an AMG Sports Package as standard including 18-inch alloys and a bodykit. 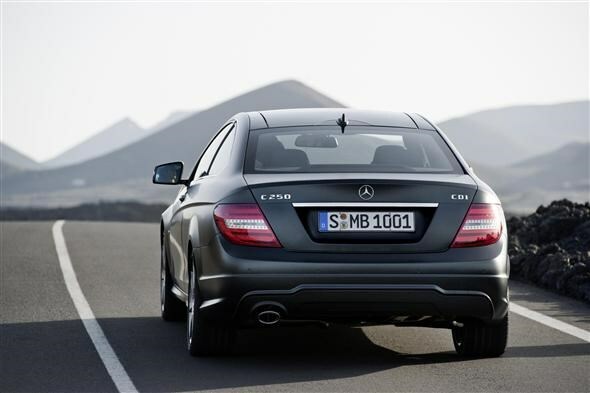 The design of the latest C-Class addition is heavily influenced by the larger CLS Coupe. As is tradition with any new Merc, safety has an important role to play. You get seven airbags, an active bonnet to protect pedestrians, ‘drowsiness detection' systems to wake you up if the car detects signs of sleepiness, proximity detection systems and a whole host of other systems based on laser, camera and sensor technology. Inside the four-seat coupe you get a steering wheel borrowed from the larger CLS, while the dash is finished in a mixture of matt black and high gloss. It incorporates the screen for myriad multimedia features. It comes with an all-new telematic system with COMAND Online featuring internet access, capacity to display SMS text messages, Bluetooth wireless handsfree and music streaming and USB input. It also has capacity for Google Maps, meaning you can program in a route on your home computer and send it directly to the car's navigation system to be displayed as a 3D map image. Prices are expected to start at around £30,000, but we expect to hear more after the car's debut at the Geneva Motor Show.